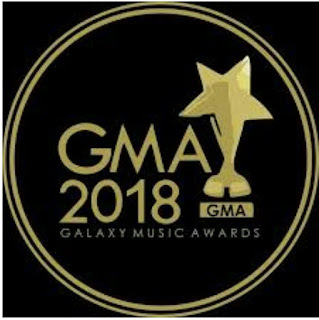 Galaxy 360 media,one of the biggest media brands in the South south part of the country,as part of its support to the entertainment industry in Port-harcourt and in an effort to bestow deserved accolades to the city's hardworking music talents presents The Galaxy Music Awards (GMA). Billed as one of the biggest entertainment awards in the Niger Delta,the Galaxy music awards is set to light up the city of port-harcourt this coming weekend after months of buildup to the event,part of which included a Playstation 4 championship that featured music heavyweights like Duncan mighty,Mr 2kay,Dr.Barz,Super producer Kingsville Creative and a host of other port-harcourt celebrities. The event is scheduled to hold on sunday the 2nd day of December 2018 at the glamorous atlantic hall of hotel presidential,Port-harcourt,Rivers State. Themed "This is Port-harcourt" Lots of talented musicians in the city are set to be decorated and rewarded for their hardwork and artistry after months of voting by fans who voted for their favorite artists in various categories! The event will be hosted by super hypemen and MCs Presh Talker, Yo Boi, Barrango and the ferocious Speech!